Welcome to our friends from Mom-e-Preneurs! We’re very excited that you chose to check out Fit Marriage and all of the resources we have available to serve you as a busy, work-at-home Mom. First of all, thank you for all that you do! The founders of Fit Marriage (Tony and Dustin) are both husbands of work-at-moms and busy parents, so we definitely understand both the joys and struggles that you face every day. We are here to serve your health and fitness needs, and we are committed to helping you build a thriving business by getting you the energy, confidence and productive spirit you need to excel. A Fit Body Fuels a Fit Business. You are here because you’d like to you improve your body and help both your family and your business in the process. That’s what we’re all about at Fit Marriage, so let us help you make it happen! To get started, please enter your first name and email address below. This will allow us to keep in contact with you and share new resources and special offers for Mom-e-Preneurs as they become available. This will also give you instant access to our Ready, Set, Go! Blueprints Library, which contains a lot of great (free) resources that you’ll want to check out. Please note that you’ll receive an email right after you sign up, and you must click the confirmation link inside that email to actually activate yourself. You Need a Fitness Program, But Which One? We are big believers in the power and efficiency of at-home workouts. As a work-at-home Mom, you can appreciate the value in getting a fantastic exercise session without the time and expense required to drive to the gym. And no need to hire a babysitter! Fortunately, there are many great fitness programs out there. Unfortunately, there are thousands of not-so-great programs and gimmicks that will not get you the results you deserve. That’s where Fit Marriage can help. As both fitness program developers and lifelong exercise fans, we have the expertise and experience to wade through all the noise and guide you to the perfect at-home program to fit your specific needs. If you’re ready to make the right choice for your fitness needs, please contact us today for a complimentary fitness program consultation. It’s free! Please note that this is an exclusive offer for Mom-e-Preneurs…we want to help you succeed! How About a Couples Fitness Program? 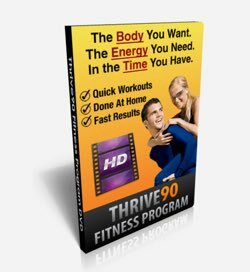 If you like the idea of working out at home with a commitment of less than 30 minutes a day AND doing so alongside your spouse (at least from time-to-time), we encourage you to take a look at our Thrive90 Fitness program. 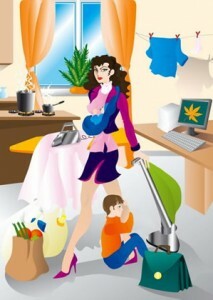 As a Mom-e-Preneurs friend, we are offering an exclusive $10 discount on this program. Please contact us and let us know that you’re interested, and we’ll get you all set up with your discount. You can check out all of the details of this family-friendly fitness system by clicking here! How Does a Work-at-Home Business Focused on Fitness Sound to You? If you share our enthusiasm for fitness and helping others, we have several work-at-home opportunities that may interest you. 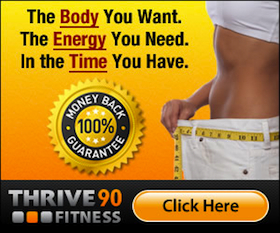 First, we offer a generous affiliate program for those interested in sharing our Thrive90 Fitness system with others. You can get the details here. 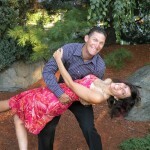 In addition, we are Independent Coaches with Team Beachbody. You may be familiar with some of Beachbody’s incredibly popular fitness programs such as P90X or 10-Minute Trainer. We have used several of their products and believe strongly in their stance for at-home fitness results. Beachbody offers a great opportunity to build your own business by sharing their products with others. If this sounds interesting, we would love to help you get started on the right foot. Please contact us and let us know if you’d like more information about either the Beachbody Coach program or the Thrive90 Fitness affiliate program! We’ll be updating this page with special opportunities and free training that we are developing especially for Mom-e-Preneurs. Please be sure to enter your email above so we don’t miss you with these announcements. Thanks for being part of the Fit Marriage community!